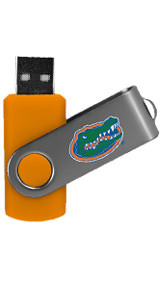 Premium USB specializes in producing unique digital content for schools and universities. Our custom Flash Pac® cases are perfect for distributing to students for Orientation, Graduation, and other campus events. 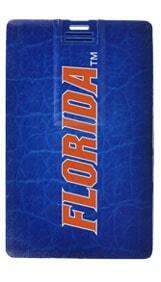 Our products are printed in the USA and feature over 100 Officially Licensed colleges and universities. With our Express Service, you can get your school's custom products in just days! 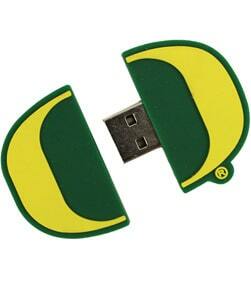 Choose from over 100 unique styles of USB Drives. What style is right for your school? Custom Shapes are a fun and practical way to share important data. We have produced hundreds of custom shapes for top Universities. Check with your sales representative today to see if we already have your custom shape created. The sustainable solution for college materials! This versatile, compact and fully-branded Flash Pac® can be loaded with orientation packets, graduation programs, course materials and more. Reduce costs by offering coupons and sponsorship placement to be included with Flash Pac® printed materials. 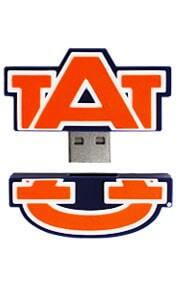 Available in Single USB, Multi USB, Mini, and USB + Disc versions. If you don't see your school, give us a call, we are always adding more.